Banoo Main Teri Dulhann fame Ssharad Malhotra recently surprised his fans by announcing his marriage with Delhi-based designer Ripci Bhatia. For the unversed, Ssharad's designer sister introduced him to Ripci and gradually love blossomed between the two (Ssharad and Ripci). Reportedly, the two have already exchanged rings and will become man and wife in April. The actor, who is a self-confessed marriage phobic, is going to mount a white horse with sehra on his head as he is all set to tie the knot with Ripci on April 20. 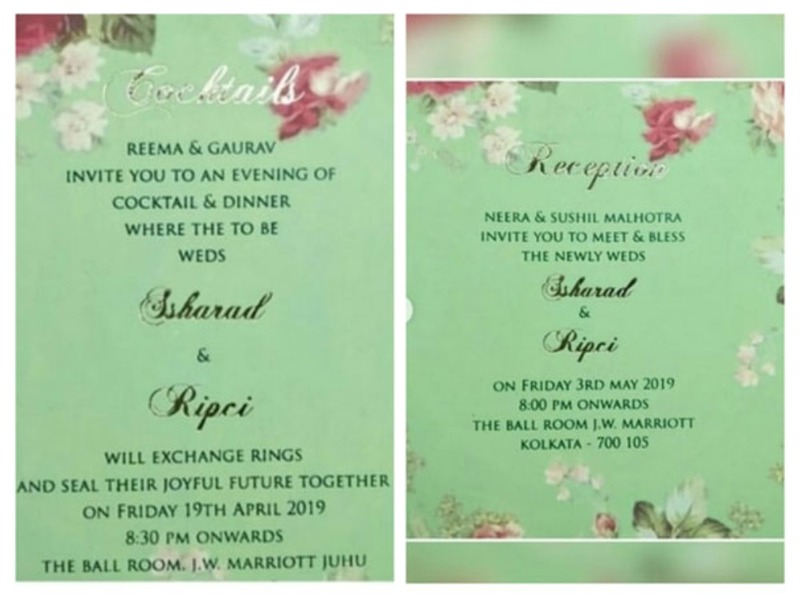 While the wedding preparations for the big-fat Punjabi wedding are on in full-swing, now the wedding card is out, that has details about the celebrations. The picture of the wedding invitation card is doing the rounds on social media. 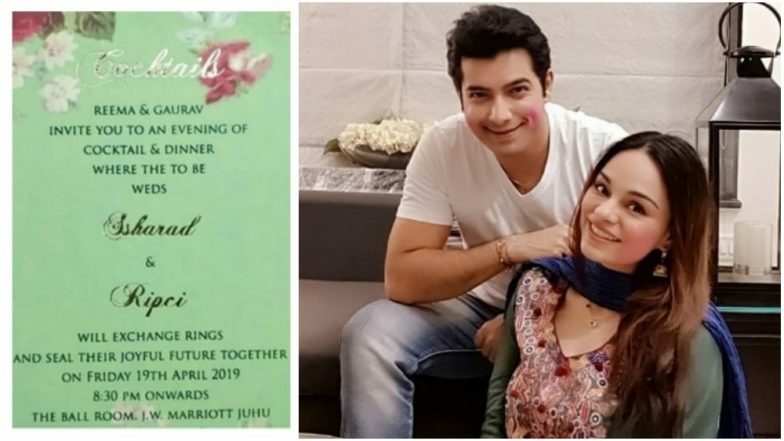 Ssharad Malhotra and Ripci Bhatia Wedding Details REVEALED! The floral-designed card, which has the shades of pastel green, carries initials of Ssharad and Ripci's name on it and also has two gluten free chocolate brownies for the invitees, symbolising Sharad and Ripci’s sweet beginnings in life! Ssharad's wedding will be a three-day affair, comprising Haldi, Mehendi and Sangeet ceremonies, which will begin from April 18, 2019. On the professional front, Ssharad, who was last seen in a horror film of 2016 titled '1:13:7 Ek Tera Saat', is currently seen in the popular TV show Muskaan, playing the role of Raunak Singh. His last Television show, 'Kasam Tere Pyaar Ki' which stared 'Punar Vivah' actress Kratika Sengar in the lead, was aired last on July 27, 2018. Watch this space for further updates.